If I am to rate an online shopping company for reliability or rather I am to call an online shopping company reliable, it should offer more than the typical security or secured online transactions mantra. The shopping website known as the Philippines online shopping mall also known as Lazada definitely has the goods. When I say that they definitely got the goods, I mean that literally because they really do have the goods. That means I can rely on them almost one hundred percent of the time to have whatever it is that I need from a department store (of course I would not be looking for grocery items nor stuff that I would otherwise get from a hardware store, let’s be reasonable shall we/ lol!) they have a diverse array of shopping categories that will surely delight every online shopper who find going through multiple websites to get different stuff that they need too tedious or too cumbersome. Lazada is perfect for those people who are always pressed for time and lacks a minute to check other online stores just to get hooked up with what they need. 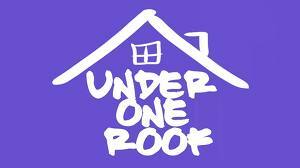 This is indeed a one stop online shop where everything is just under one roof (a virtual roof that is). Just so you know what the online shopping categories in Lazada looks like, here’s a list of the shopping categories that you would expect to find when you get there (if you want to get there now, stop reading at this point and bring your mouse pointer to the link above that says lazada.com.ph/ or you can skip that process, make it wasy on yourself and just click it here ) anyway, here goes the list that I am yapping about; mobiles and tablets, consumer electronics, computers and laptops, cameras, home appliances, health and beauty, home and living, toys and babies, fashion and accessories, watches, travel and luggage, sports, books, music and movies. These online shopping categories are well-organized and up to date, that you will find it easy to search for the item that you need.Each category is further filtered into other sub-categories by brand or model. If you are looking for a reliable online shopping website, this company is definitely your best pick among the pack. Since we are talking about reliability, I would also share other characteristics that further support my reliability claim. The company is not just reliable in terms of product availability and quality but also in terms of delivery, fair pricing and customer service. Their delivery process is currently being taken care of by two of the country’s leading delivery service company. Those two companies I am talking about are LBC and 2GO. These are highly reliable delivery companies that have been in business for more than a decade now and are in charge of the most important aspect of the online shopping business. Lazada is definitely reliable on all fronts and you can be sure that it is an online shopping partner that you can depend on anytime, anywhere.